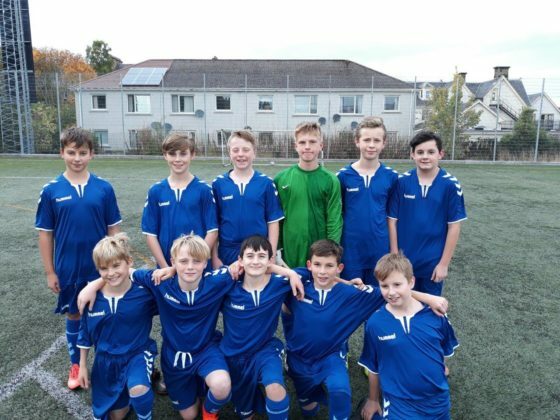 A group of S1 pupils took part in a mini Football Tournament at Millburn Academy on Thursday 11th October. Taking part in the Tournament were 2 teams from Millburn Academy and a team from Culloden Academy. The format was 8 a side round robin where all teams played each other. With some superb individual and team performances the 11 boys in the Charleston squad emerged as the winners, not losing a single game and only conceding 1 goal. This was a great start to hopefully more impressive performances from all Charleston teams. Thanks go to the Millburn Academy PE Department for organising the Tournament and to all the players from all the teams for playing in both a competitive and sportsmanlike manner.